Poached Pear and Raspberry Trifle with Almond Pound cake. In addition to the Plum Pudding brought to the table soaked in alcohol and set afire, there was an English Christmas Trifle. Ever since then, Christmas really isn’t Christmas without it. I had only ever made it with Bird’s English Custard and Sara Lee Pound cake. 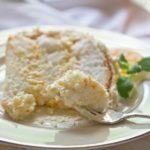 Bird’s is similar to Creme Anglaise, (“English Cream”) in the powdered form, and while not as fresh tasting and yummy as from scratch, Bird’s is a classic British ingredient and far easier. Bird’s can be found at most grocery stores or here on Amazon. Last year, Mom set the dessert bar even higher when she adapted Emeril Lagasse’s Poached Pear and Raspberry Trifle. Mom made a few changes. Instead of using a store bought pound cake, she made an Almond Pound Cake, (my favorite flavor!) sprinkled the cake with a combination of Amaretto (more almond flavor!) and Marsala. For step-by-step photos on how to poach pears, click here. While you can make trifle in a large bowl, to make it a real show-stopper, use a glass trifle bowl like this one. Want to simplify this trifle recipe? Use store-bought pound cake, Bird’s custard powder, and canned pears packed in their own juice. From there, you’ll just need to assemble the trifle! Looking for more trifle dishes? 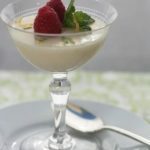 How about Lemon Trifle Parfaits? 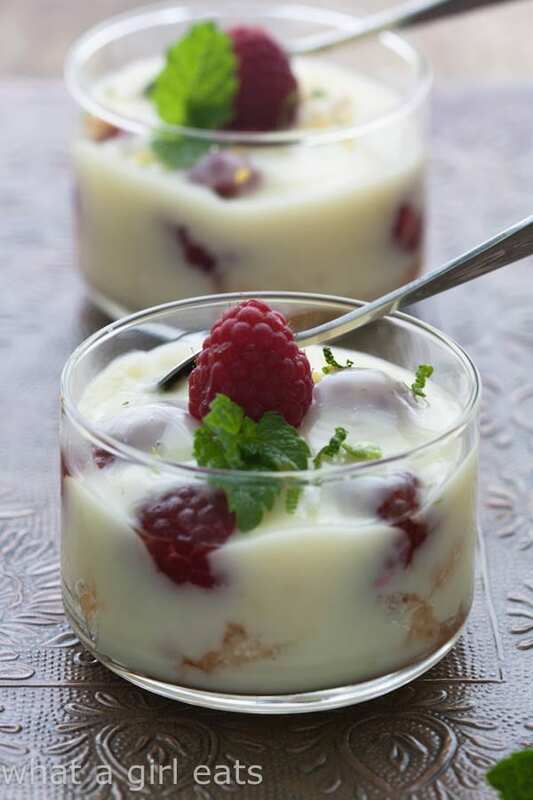 Lemon Posset layered mini trifles with fresh berries. 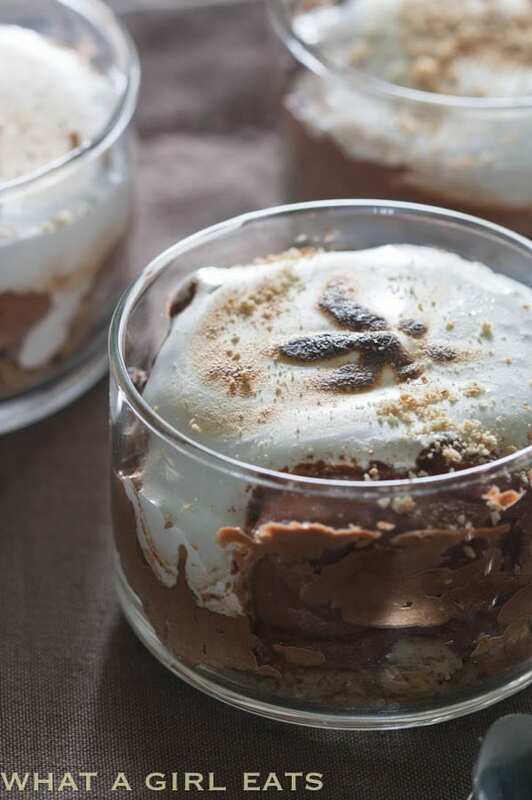 Or Dark Chocolate S’Mores Trifles? Or these individual English Trifles! 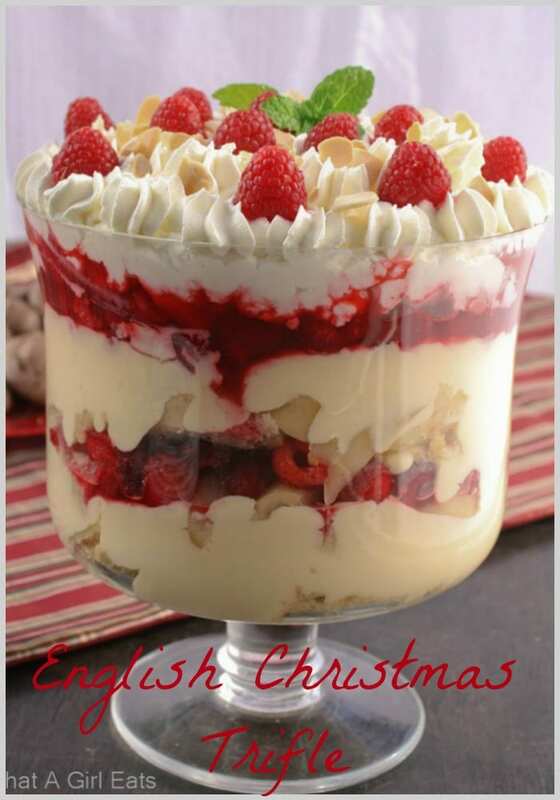 This English Christmas Trifle is bound to be a show-stopper! 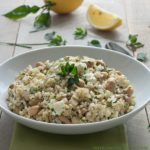 Some of the items used in this recipe are available here at no additional cost to you. Poached Pear and Raspberry Trifle, adapted from Emeril Lagasse. Requires almond pound cake, (or store-bought), homemade Creme Anglaise, (or Bird's custard), poached pears, fresh raspberries and homemade whipped cream. To make the creme anglaise, in a small saucepan, bring 2 cups cream to a bare boil with vanilla bean, and scraped seeds over medium heat. Remove from the heat and let cool slightly. In a medium bowl, beat the egg yolks and 1/2 cup granulated sugar until ribbons form. Gradually add 1 cup of the warm cream, and mix well. Add back to the pot with the remaining cream and stirring constantly cook over medium heat until thick enough to coat the back of a spoon. Remove from the heat and strain through a fine mesh strainer, discarding the vanilla bean. Press a piece of plastic against the surface to prevent a skin from forming. Let cool slightly. In a medium bowl, whip the remaining 2 cups cream with the confectioner's sugar. To assemble the trifle cut the cake into 1/2-inch thick slices to fit tightly into the bottom of a trifle bowl (or a 1 1/2-quart decorative glass bowl), and slightly up the sides about 1-inch. Drizzle or sprinkle the cake with Marsala and Amaretto. In a mixing bowl toss the berries with 2 tablespoons Marsala, stirring to bruise the berries slightly. Layer 1/3 of the pears over the top of the cake, then top with 1/3 of the creme anglaise, (or prepared Bird's Custard) followed by 1/3 of the raspberries. 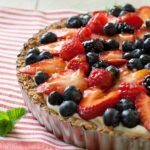 Repeat the process, layering the remaining ingredients, finishing with the freshly whipped cream on top. Use this almond pound cake in your holiday trifle, (or purchase a store bought pound cake). This Almond Pound Cake recipe makes one 10" (angel food cake pan size). This can also be made in two loaf pans. For the trifle recipe, you will need about 1/2 recipe, or the equivalent of a 12 ounce loaf. Sift dry ingredients together in a medium sized bowl. In a mixer, cream together butter and almond paste. Add sugar and beat until smooth. Add eggs, 2 at a time in 3 separate additions, until incorporated. Add milk and almond and vanilla extracts. Gradually add flour just until mixed, do not over mix. Bake for approximately 1 hour and 25 minutes or until skewer comes out clean. Cool. Then invert pan and remove cake. To poach the pears, in a medium saucepan, combine the water, honey, seeds scraped from 1 vanilla bean and vanilla bean. Bring to a boil and cook, stirring, until the honey dissolves. Add the pear halves, reduce the heat, cover and simmer until the pears are tender when pierced with a sharp knife, about 12 minutes. Transfer the pears with a slotted spoon to a cutting board and let cool slightly. Cut into thin slices. What a gorgeous trifle! I totally love the amaretto in there. thanks Ann! It was yummy…I love almond flavor. Hi, can you please tell me how many people one recipe would typically feed? Hi Michelle, It does serve a lot! 16-20. That’s why we make it only at Christmas when we’re having a big group. We usually have 14-16 people, but serve TWO different desserts so there’s always plenty leftover as well. Hi! 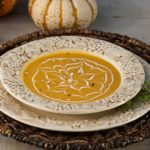 I just read through this recipe and ingredient list, and I am WOWED by the flavors and techniques. I am a recipe developer and have an uncanny ability to taste foods before they are made..lol! Thx for the great recipe, I will try to make this yet, for the Holidays. Thanks Teri! Welcome! It was delicious! Angela, totally worth making and of course you could probably zip up the Bird’s custard by just adding some Amaretto to it! Thanks Del! Let me know how it turns out! It is so beautiful, that firs scoop must be heart-breaking! I love the idea of raspberry and amaretto together, it sounds delightful. The amaretto and Marsala wine don’t clash with each other? haha…Yes, I guess the first scoop is the hardest! Almond is one of my favorite flavors. No, the marsala and the amaretto did not clash…the bowl was licked clean between the 14 of us! I’ve wanted a great pear recipe for a long time. Can’t wait to try this. Pears have such a fleeting season…I love the pear and almond combo. this looks so amazing!! 🙂 we learned to poach pears for the very first time last month, and it wasn’t as complicated as I had thought all my life! Esther Julee, what did you do with that pears after you poached them? Did you eat them as is or put them into another dessert? we ate them with a sauce drizzled over them! next time i will have to try putting them in a different dessert. Holy cow, I can practically taste this bowl of awesomeness! I’m sure it tastes even more amazing than it looks and that’s really saying something about the flavor as it looks INCREDIBLE! Thanks Christina! It was a beauty and filled with all my favorite flavors! Thanks for sharing! I will make this over the holidays. I will rate once I try it. Wowsa! This looks so amazing and beautiful! I would love to dig in that and taste all those tempting flavors together. Visiting from The Weekend Social! Happy Holidays to you! Thank you kim! Happy holidays to you as well! Cynthia, your trifle is just gorgeous and I love the poached pear and raspberry combo. Thanks so much for sharing at The Weekend Social. Always love seeing you here. Please come back again Thursday 9:00 PM EST. 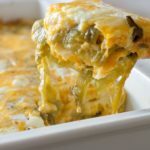 http://www.theKitchenChopper.com Pinned, Heart’d and YUM’d! I love that your Christmas dinner was a black tie affair. I love the elegance of dressing up. It shows respect for the food, and each other! It was a magical time Kelly! This is an absolute showstopper of a trifle, Cynthia! I completely understand using Bird’s custard and also do so myself as it reminds me of the trifles from home, but obviously homemade is best! Your mother’s trifle is absolutely awesome! She can come make one at my house anytime! of course, Bird’s custard does hold a special place in my heart too! Yes, Heather…Christmas dinners remind me my wonderful time there! This looks amazing! I admit that I can’t see a trifle without thinking of the Friends episode when Rachel made the trifle with meat. Your dessert looks absolutely delicious and so festive. Just love it! 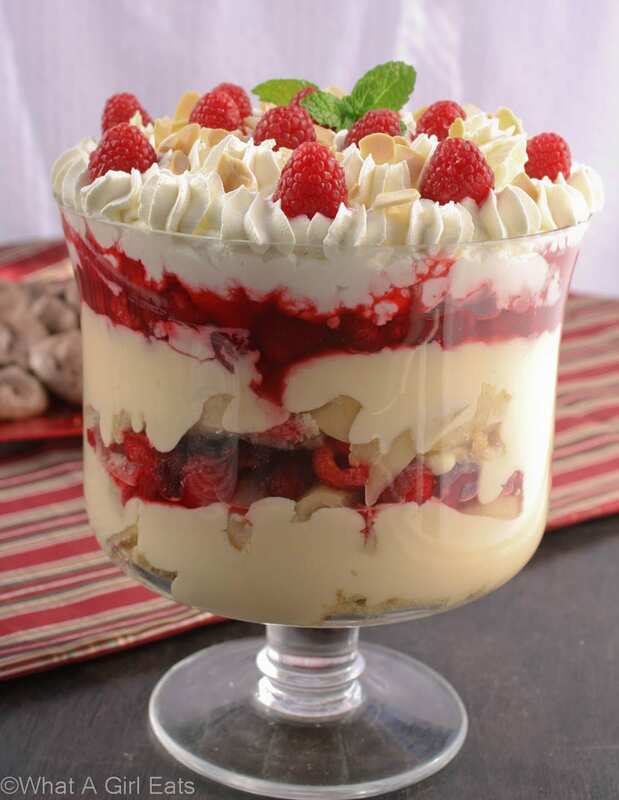 Trifles are always so gorgeous! I love that people get dressed up for Chistmas, makes it feel like even more of a special occasion. Totally Karen! We don’t get as dressed up here in America as we did in England! I’m in love with this trifle and this looks absolutely beautiful! I never spend Christmas in London, so meanwhile let me try this festive trifle and bring London home. Oh, that would have a been so much fun Jenn! I loved living there! Christmas in England was always a bit fancier! That looks pretty intense. I’d probably eat the whole thing myself! Matt, it’s definitely a dessert for a crowd…but even when there’s just a dozen of us, we manage to make a pretty good dent in it! This is stunning!! 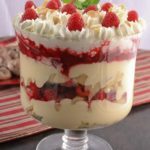 I lived in England for 7 years and trifle became, and has remained, one of my all-time favorite desserts. Yours looks and sounds incredible! I loved living there Kimberly! This brings a bit of England to LA! You’ve painted a cozy picture of Christmas in England. I’ve love to do that one year. Until then, I’ll just have to make this and pretend :)! It was a cozy and lovely time…I make it every year and pretend! must be pinned! Thank you…and merry Christmas. Vivienne, this is an Emeril Lagasse recipe, so it’s his twist on trifle. The poaching liquid can most certainly have sugar instead of honey. 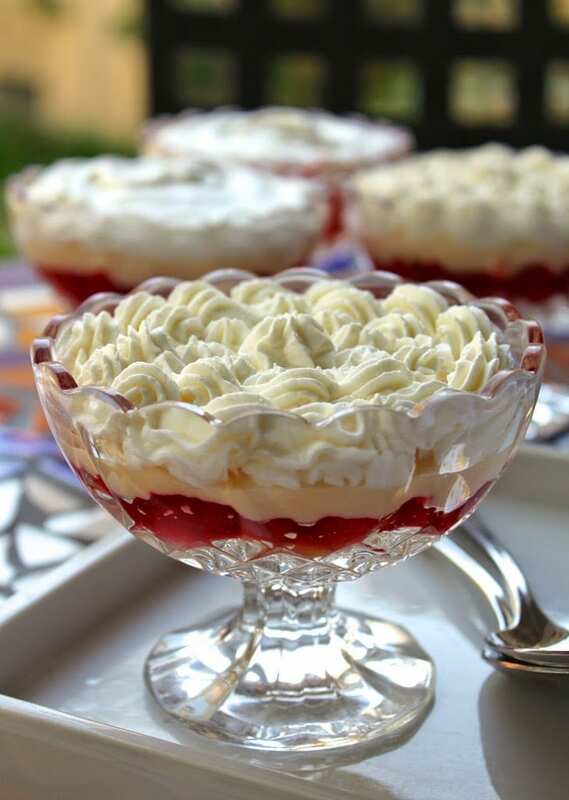 When I lived there, there were so many different versions of trifle, but I find that the Bird’s and jelly (our Jello-0) versions aren’t nearly as nice tasting as this one. However, I used a tad of Cinnamon and some Cloves in the poaching syrup, brought it to a boil, added a smidgen of apple brandy to the liquid, and a minute or2 later, added the pears. Layers of flavor. My guests swooned. 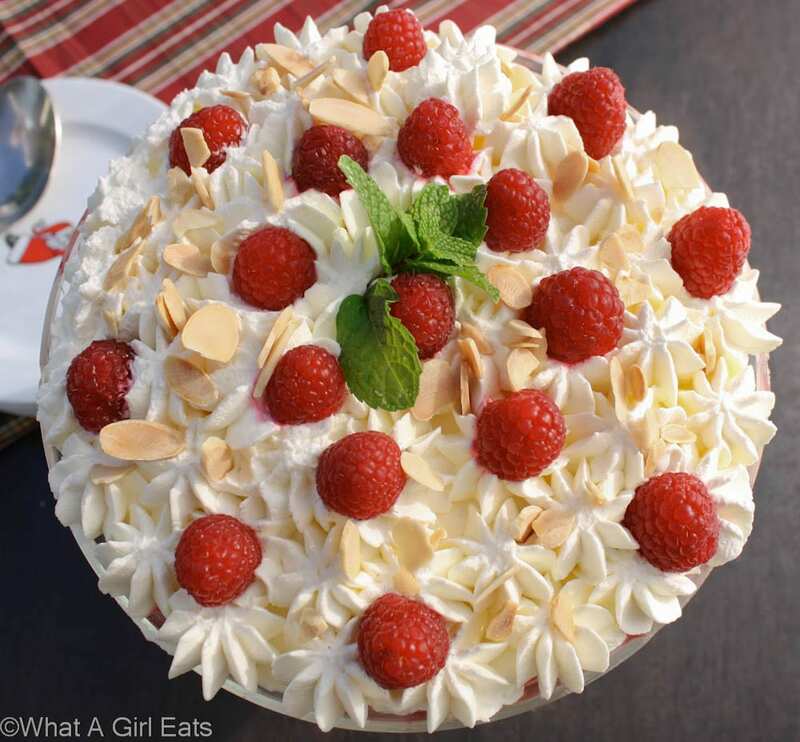 this is such a pretty dessert, and just perfect for holiday entertaining! Looks amazing, I always wanted to try to make one. 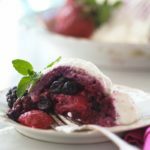 It’s just the perfect dessert for a large holiday gathering! Hi Daily Buzz, I’m Cynthia…not Teri. How far in advance can this be made? If I do it the day before, will the cake get soggy? Or, can I make the pears and creme anglaise the day before to assemble the day of? I usually make the cake in advance. You can make the custard and poach the pears ahead of time. When all that is done, it’s just a matter of whipping the cream and assembling. If you make the custard ahead of time, make sure you put a layer of cling wrap on top so it won’t get a skin. We usually make the trifle in the morning for a late afternoon/early evening Christmas dinner. Actually, you want the cake to get soggy, the liqueur will soak in the cake and everything sort of melds together. This sounds delicious! And those formal Christmas parties just sound like so much fun. I love a good excuse to dress up and act fancy from time to time (gets me out of my pjs). As much as I love all the ingredients in a trifle, I’ve never actually made one. I might need to break down and make one this year! I think it depends on on many you’re having. This is perfect for a big crowd, but if you’re having 8 or so, you could make mini trifles and serve them in champagne glasses. In which case, I’d make a 1/2 batch of custard, buy a pound cake, and puree some frozen raspberries, dice a poached pear or two up and just make it on a smaller scale. I don’t understand which sugar is used in which part. I have never made whipping cream with powdered sugar and have never used powdered sugar when making custard. Please clarify. My family loves trifles, and yours looks amazing! I bet the almond pound cake puts it over the top. The almond flavor in the trifle and the pound cake is my favorite! Good Morning, I love these recipes. So fresh, creamy, and delicious looking. 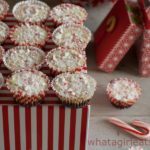 The holidays are coming up pretty fast and I might have to attempt making these for our guests. They look perfect. Bookmark it Heidy! Christmas will be here before we know it! 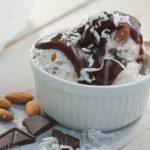 This is a gorgeous dessert! I love those fresh beautiful raspberries! I think this would be perfect all year long! I’m always amazed at how many people search for this year round…then I’m reminded that it doesn’t have to be just for Christmas! looks delicious! wow can’t believe Christmas baking is already here! 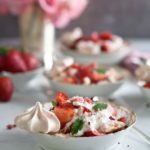 I cannot believe how many people look at trifle in the middle of the summer…but then again, it can be a year round dessert too! I’ve been meaning to make trifle for ages! 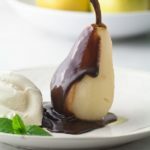 Love the idea of using poached pears to make it. It is a lot of prep, but if you buy a pound cake, and use Bird’s custard, it really cuts the prep time down! HELP! I want to make this for a party but want to omit any alcohol. Is it possible to boil/simmer the marsala wine and the amaretto liquor to cook off the alcohol? Let it cool and then use it?? sorry, just seeing this. You can boil off the alcohol, but part of the idea of trifle is to have the liquor drizzled on top. Hmm, by its very nature trifle is sprinkled with sherry and liqueurs, it’s what gives it the characteristic texture and flavor. 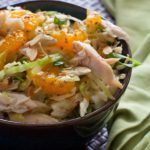 You could probably omit all the alcohol, but it wouldn’t be as moist and flavorful. I have always served this for Christmas to my kids, but omitted the extra shot of sherry before serving. The other option would be to only sprinkle the alcohol on one side of the trifle. Hope that was helpful.